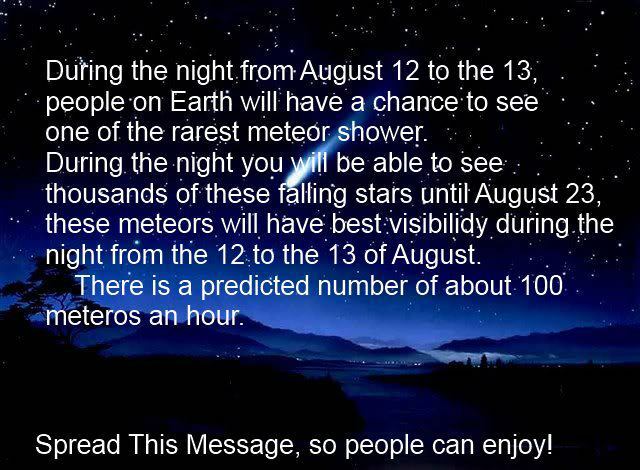 Perseid Meteor Shower August 2012 Timelapse HD Exclusive! 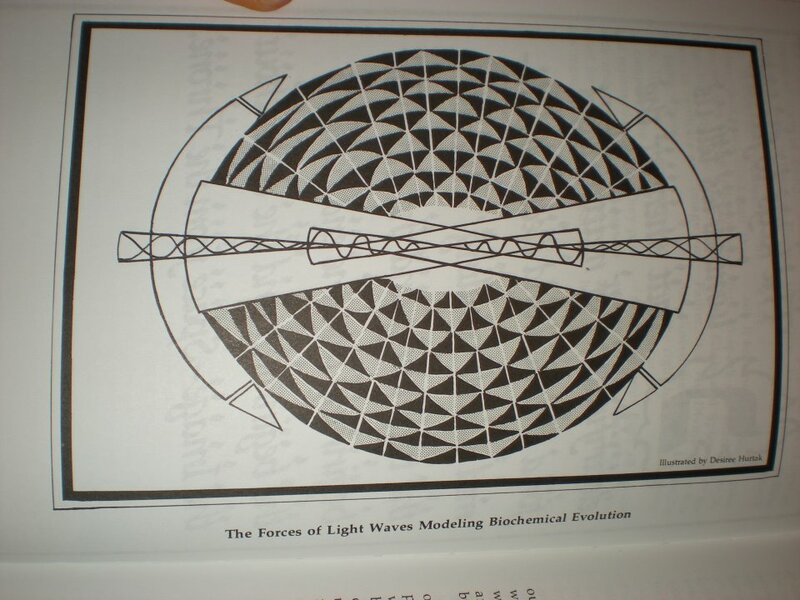 A friend said: “What you are seeing is a wormhole portal and the dna strands in the center. Counter rotating spin….. this is in relation the the Atlantis Voyage crop circle video you posted and i am refering to the one at 6:38. Furthermore a friend and i were researching into the stars to fall in the mass meteor shower on August 12-23 and in her calculations if 100 fall per hour we will have approx 26,400 stars falling. (stars are angel/demons) anyway in her research we were pulling up all sorts of things on changes in the human genome….. like there is going to be a chemical effect that will effect dna. Olympics is a ritual calling down the star energy through the portal gates…thus the tarantula spider there at olympics is regarding star system R-136″. THE LOCUSTS ARE HERE AS I SAID BEFORE !!!!!!!!!!!!!! THIS VIDEO IS ONLY FOR THE STRONG CHRISTIANS, WEAK ONES ABSTAIN !!!!!!!!! 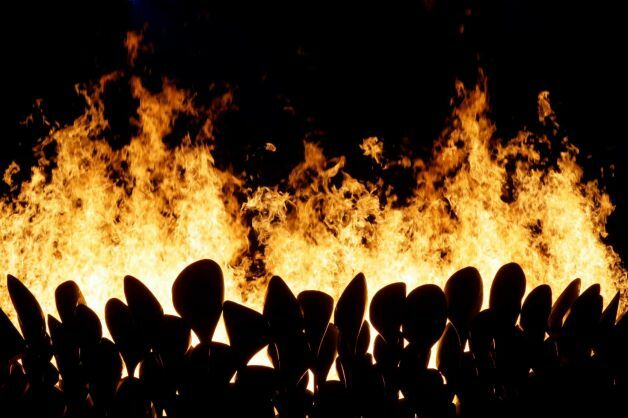 2012 Prepare for the Alien Invasion First Contact? Are The Vatican Trying To Tell Us Something About Nibiru ? in Revelation 12:7. They will also fight the antichrist’s vimanas (Zechariah 5: 5-11) and vailixi (Zechariah 5:1-4). Do not confuse merkabahs with meteors, comets, UFOs, “alien spaceships”, or goofy New Age “light bodies”. Do not fall for any of the “alien” strong delusion coming to help set up the 7 year New World Order of the antichrist. Includes actual footage of real merkabahs. Keep your eyes on all those real-time clocks. This video is dedicated to Michael S. Heiser & Chris White. Go to fullscreen with your HD monitors and turn your volume all the way up on this one folks :)”Merkabah” is the Hebrew word for “angelic chariot”. They are mentioned in Ezekiel 1:4,16 & 10:9-12; 2 Kings 2:11-12; Psalm 68:17; Isaiah 66:15, 1 Enoch, Jasher 3:36, and the Chariots of Glory from the rediscovered Dead Sea Scrolls.http://thestrongdelusion.com/“And after these things I saw another angel come down from heaven, having great power; and the earth was lightened with his glory.” – Revelation 18:1Thanks to the group Collective Soul for their song- Shine.To our God be all the glory. ← Is this the “LOCUSTS? That the Bible warns us about?